Transparent objects for transparent stories..
Forme & Sens explores the discussion and tangible representation of normalcies that are quietly shared and rarely verbalised – collaborating with a growing community of contributors who offer to share personal experiences with mental health. The natural formation of glass begins with immense pressure. Time and fluidity create something new and beautiful. To wear, hold, and encourage discussion. 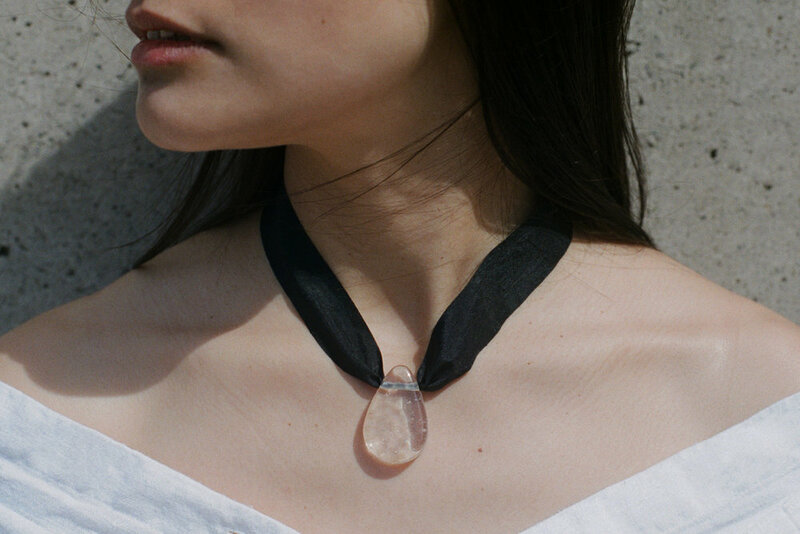 The Transparency Pendant is a shared symbol of both vulnerability and strength.